In recent years there has been an increase in infants, toddlers and preschoolers diagnosed with signiﬁcant social-emotional and/or behavioral problems. An estimated 10% to 15% of birth-5 year-old population experience serious social-emotional problems which significantly impact their functioning and development in the areas of language, behavior, cognition and school-readiness (Brauner & Stephens, 2006). However, some studies have found that many parents have limited knowledge about mental health issues in young children (Alexander, Brijnath, & Mazza, 2013; Rescorla, Ross & McLure 2007). Factors impacting parental recognition of mental health difficulties in their children may include: doubts about early age of onset (many parents believe that children will grow out of inappropriate behaviors), recommendations to ‘wait and see’ by pediatricians, friends and relatives, lack of awareness of severity of problematic behaviors (‘it’s not that bad’), as well as unintentional lack of recognition of presenting behaviors (e.g, labeling evident anxiety as ‘a bit shy”). As a result, early identiﬁcation of and service provision to infants, toddlers, and preschoolers with social-emotional/behavioral deficits continues to be fraught with significant difficulties. For example, one study has found that less than 8% of 1- and 2-year olds with social-emotional/behavioral problems tend to receive any developmental or mental health services (Horwitz, Gary, Briggs-Gowan, & Carter, 2003). Furthermore, young children with emotional behavioral disturbances (EBD) tend to receive services that focus on developmental issues, such as speech/language, gross/fine motor, and cognitive delays vs. mental health (psychotherapy) (Briggs-Gowan, et al 2004). But what if the psycho-therapeutic intervention is required in addition to the provided developmental interventions? This places Early Intervention (EI) and preschool based providers, including, speech language pathologists, in a unique position. They are one of the first professionals who have the potential to recognize the presence of social behavioral difficulties in language impaired birth-preschool population and make a relevant service referral. This may be needed due to a strong connection between speech-language impairments and behavioral disorders (Baker & Cantwell, 1987; Benner, Nelson, & Epstein, 2002). Children with childhood language impairment are more likely to experience both concurrent and future behavioral problems than typically developing children (Conti-Ramsden & Botting, 2008; Snowling, et al, 2006). 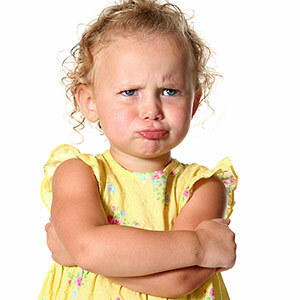 So how can we recognize if a child is exhibiting emotional behavioral deficits or is simply acting out (e.g, ‘terrible twos’)? For starters we need to consider a number of variables since not every child with language impairment and/or behavioral difficulties will have a true psychiatric impairment. Let’s begin with children with suspected or diagnosed with language disorders and delays who display maladaptive behaviors (e.g., severe aggression, anxiety, withdrawal, etc). The first question of course should be: Are the behaviors due to a language impairment? Is the child acting out due to an inability to have his/her needs met? In other words, once the child receives speech language services, which improve his/her language abilities, will the behaviors lessen in intensity or disappear all together? 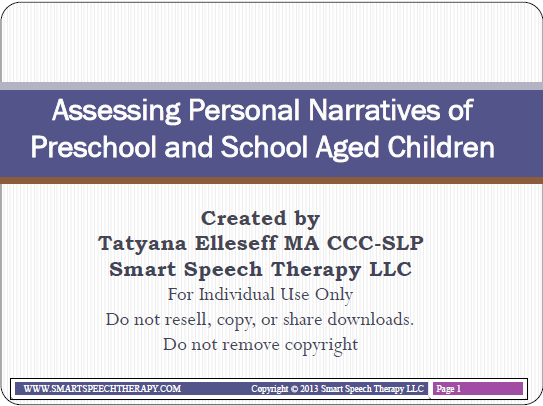 To find out, SLPs can begin by administering a comprehensive speech language assessment to determine the child’s linguistic status and social pragmatic competence. They need to gather careful social history. Then administer formal and informal testing which includes a language sample, play skills assessment, narrative assessment, as well as behavioral and social pragmatic questionnaires. If the assessment yields that therapy is warranted it is important to carefully track progress as intervention is administered to see if the behavioral manifestations are improving along with the the language abilities. On many occasions the improvement of language will trigger the reduction or disappearance of maladaptive behaviors. However, on other occasions you may see children making steady language gains in therapy yet their behavior will continue to present a serious cause for concern. Or you may see lack of progress in both areas, language and behavior, despite intensive intervention. First there’s the question of behavior duration. Has adequate time passed since the initiation of language intervention or is more time/gains needed? Then there’s the questions of behavior intensity. Are the behaviors very severe? Do they last a short while and a child is relatively easy to soothe or do they last for an extended period of time and interfere with learning (child doesn’t participate in sessions; child learns very little despite intensive intervention due to maladaptive behaviors). Finally, is there a persistent continuation of significantly immature age-inappropriate behaviors despite consistent and productive therapy provision? If the answer is yes to any or all of the above questions then we might need to dig deeper and go back to our social case history to review the risk factors. Researchers found that children who live in poverty have higher incidence of behavior problems. For example Qi & Kaiser (2003) found that almost 30% of children from low-SES backgrounds were reported to have behavior problems as compared to the 3% to 6% of children from average SES households. Additional contributing factors raising concerns are: history of mental illness on one or both sides of the family, parental cohabitation status (e.g., how stable is the family unit? ), maternal mental health and emotional stability (e.g., anxiety, depression, substance abuse) as well as past/present history abuse and neglect of the child or exposure to violence. The latter is particularly important to consider when working with internationally and domestically adopted children as well as children in foster/kinship care. If the review of risk factors yields further supporting evidence then a psychiatric/psychological referral is strongly warranted. Early identification of emotional behavioral deficits is important because “Preschoolers with early emergent behavior problems are likely to evidence serious behavior problems (Duncan, Brooks-Gunn, & Klebanov,1994; Stormont, 2002), social skill deficits (Mendez, Fantuzzo, & Ciccetti, 2002), and academic difficulties (Tomblin, Zhang, Buckwalter, & Catts, 2000) later in life” (Qi & Kaiser, 2003). Thus appropriate support services may be needed in order for these children to better manage their behaviors and emotions in order to continue making appropriate language gains and improve their social functioning across all settings. Alexander KA, Brijnath B, & Mazza D (2013) ‘ Can they really identify mental health problems at the age of three?’ Parent and practitioner views about screening young children’s social and emotional development. Australian and New Zealand Journal of Psychiatry 47: 538–545. Baker, L., & Cantwell, D. P. (1987). 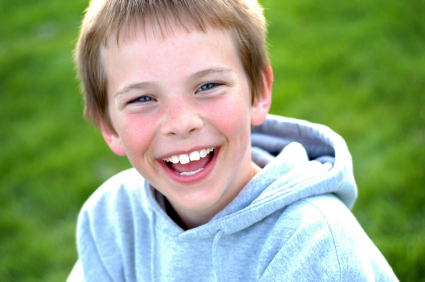 A prospective psychiatric follow-up of children with speech/language disorders. Journal of the American Academy of Child and Adolescent Psychiatry, 26, 546-553. Benner, G.J., Nelson, R., & Epstein, M.H. (2002). Language skills of children with EBD: a literature review-emotional and behavioral disorders- statistical data included. Journal of Emotional and Behavioral Disorders, 10, 43-59. Brauner, C & Stephens, B (2006). Estimating the prevalence of early childhood serious emotional/behavioral disorder: Challenges and Recommendations. Public Health Reports 121: 303-310. Conti-Ramsden GM, Botting N. (2008). Emotional health in adolescents with and without a history of specific language impairment (SLI). Journal Of Child Psychology And Psychiatry, 49:5, 516-525. Duncan, G. J., Brooks-Gunn, J., & Klebanov, P. K. (1994). Economic deprivation and early childhood development. Child Development, 65, 296–318. McDonnell, M & Gold, C. (2003) Prevalence of psychopathology in preschool-age children. Journal of Child and Adolescent Psychiatric Nursing 16: 141-154. Horwitz, S. H., Gary, L. A., Briggs-Gowan, M. J., Carter A. S. (2003). Do needs drive services or do services drive needs? Pediatrics, 112, 1373-1378. Mendez, J. L., Fantuzzo, J., & Cicchetti, D. (2002). Profiles of social competence among low-income African American preschool children. Child Development, 73, 1085–1101. Qi, C. H., & Kaiser, A. P. (2003). Behavior problems of preschool children from low-income families: Review of the literature. Topics in Early Childhood Special Education, 23, 188-216. Rescorla, L., Ross, G., & McClure, S. (2007). Language delay and behavioral/emotional problems in toddlers: Findings from two developmental clinics. Journal of Speech, Language, & Hearing Research, 50, 1063-1078. Snowling MJ, Bishop DV, Stothard SE, Chipchase B, et al. (2006). Psychosocial outcomes at 15 years of children with a preschool history of speech-language impairment. Journal of Child Psychology and Psychiatry and Allied Disciplines 47(8):759-65. Stormont, M. (2002). Externalizing behavior problems in young children: Contributing factors and early intervention. Psychology in the Schools, 39, 127–138. Tomblin, J. B., Zhang, X., Buckwalter, P., & Catts, H. (2000). The association of reading disability, behavioral disorders, and language impairment among second-grade children. Journal of Child Psychology and Psychiatry, 41, 473–482. Next post: Spotlight on Social Language Competence: When is a high subtest score a cause for concern? Oh I should have read the requirements for entering…ha! I would use this article and info in this packet for many of my PK clients. I get ?s all the time about PKers aggression and is this normal so it will be a nice material to have to show parents what typical vs. atypical behavior looks like and when they should consider further testing! Well done!